With the guidance from my geography teacher, upon graduation of High School, I decided to attend the NSCC Centre of Geographic Sciences (COGS) in Lawrencetown, Nova Scotia. During the two years in which I attended COGS, I completed a two part surveying curriculum which focused on the surveying trade. Following my studies at COGS, I decided to further my education and enroll in the University of New Brunswick's Geodesy and Geomatics Engineering Program. 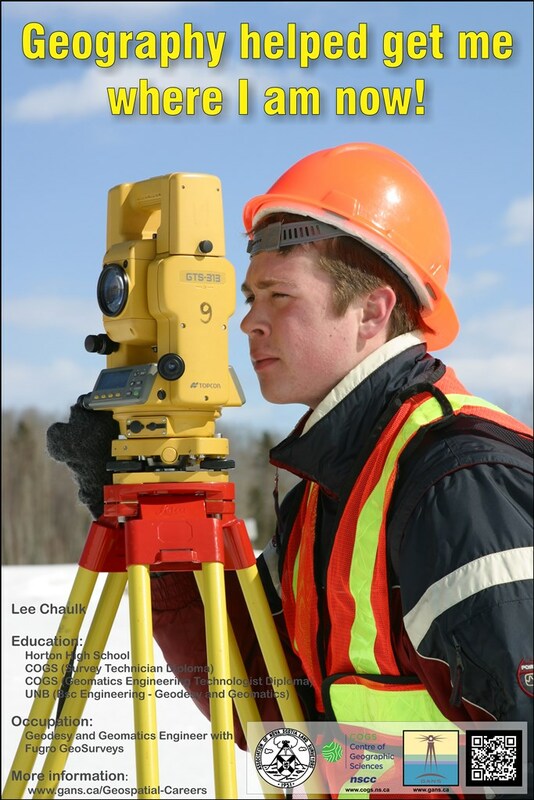 During my studies at UNB, I was introduced to an even larger spectrum of the Geodesy and Geomatics field. Throughout my studies at both schools, I had the opportunity to work for numerous employers throughout North America ranging from Alberta Canada to the Gulf of Mexico in the United States. Following graduation at UNB I took full time employment with Fugro GeoSurveys in Dartmouth, Nova Scotia. Since that time I have been exposed to a large variety of offshore and onshore projects throughout Canada and the World. These jobs have ranged from positioning ROVs and structures using sub-sea acoustic systems, positioning offshore oil rigs with satellite based positioning system, to 3-D modelling and mapping of bridges and structures with laser based systems. The Geomatics field is continually changing as newer and greater technologies are developed by both the industry and experiences we have in the field.